A Federal High Court Sitting in Anambra State has granted Bail to an IPOB Coordinator who was illicitly abducted in his Shop, on the 13th day of November by Awkuzu SARS Anambra. The victims shop was ransacked and on sighting IPOB Banners and "No Election In Anambra Flyers", he was abducted and kept incommunicado, with severe torture, that affected his right eye. The Court ordered he should be remanded in Amowbia Prisons with the badly injured Eye. Due to the poor availability of Medical facilities and Care in Nigeria Prisons, the Biafra activist was denied proper Medical attention, which led to the lost of his right eye. IPOB Legal Team filed a Bail Application attached to the victims Medical Report, upon which he was granted Bail. 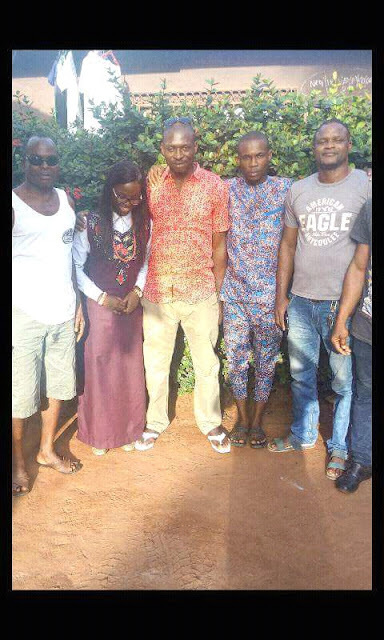 The Biafran activist expressed his gratitude towards the Leadership Of IPOB for securing his release, as he reunites with his Zonal Family members and Relations. The Leadership Of IPOB vows to further his Medical Treatment, by applying various surgical corrective techniques on the blind eyes, accompanied with the mildly affected left eye. The victim reaffirmed his support for IPOB led by Citizen Nnamdi Kanu and vowed never to capitulate towards Biafra agitation, until the Nation is restored.